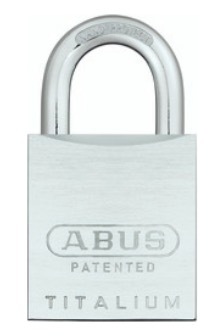 A padlock that uses a key that is very difficult to copy or is unique to your lock is known as a restricted or protected keyway. 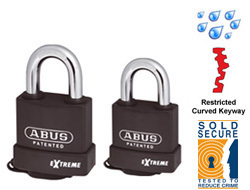 There are varying degrees to which the protection is afforded which depends on how difficult the key is to get copied and how many key variations there are in circulation. 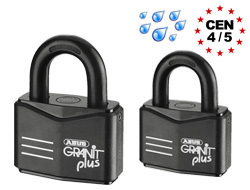 These locks offer the maximum protection with keys that not only can't be copied, but every owner is individually recorded in a central database. 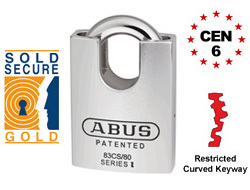 The Eighty Three / Titalium AL range has a 40mm Titalium (aluminium alloy) body width and interchangable cylinders to enable a registered, restircted key way for additional security. 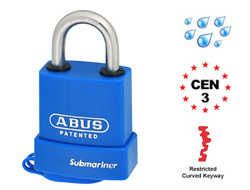 The most weatherproof lock in our range is the Submariner and this is the restricted version of the lock using the special curved keyway and integrated stainless steel pins making it 100% non corrosive. 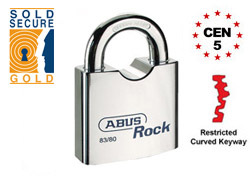 Please order here if you require additional keys for your restricted padlock order or the ABUS CEN 6 Rock Padlock. 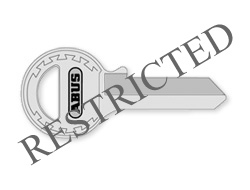 If you need extra or replacement keys for a previous order you can do that here also. 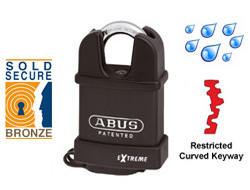 Some keys take 5 days to cut.